So many would like this to happen – to see Turkey go, to leave NATO, to break its psychological, political and economic dependency on the West. Now that Recep Tayyip Erdoğan and his allies are quarreling with the United States and the EU, there is suddenly great hope that Turkey may thoroughly re-think its position in the world, strengthen its ties with Russia and China, renew the historic friendship with Syrian President Bashar al-Assad and improve its relationship with Iran. Could this be really happening, so suddenly and so unexpectedly? If only Turkey were to join BRICS, if it decided to leave NATO and wrestle itself out of that deadly embrace of the West, the entire world would change! Many people around me are already celebrating. But I am not joining them. I’m still waiting. I know Turkey well. I have worked closely with Turkish people for more than 20 years. 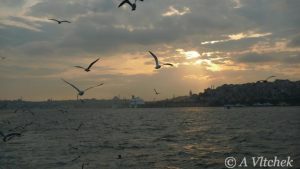 Five of my books were translated and published there, and in Istanbul, I have appeared on countless television talk shows. And honestly: the more I know Turkey, the less I understand it! To write about Turkey, to write fairly and in-depth, requires jogging through a minefield. In the end, you always get it wrong! You make a huge amount of Turkish people unhappy, no matter what you say. It is mainly because there seems to be no simple, objective truth. And various ‘camps’ disagree with each other, fundamentally and passionately. That is why I am surprised how many foreign analysts are suddenly daring to pass (often patronizing) judgments on the recent events in Turkey. How certain many of them sound! I wish it were that simple. I wish I could be now joining in the celebration! Instead, I am sitting down in front of my computer and writing this essay about Turkey, a country which I love, but for so many years have failed to comprehend. I met Recep Tayyip Erdoğan at the Istanbul headquarters of his (then) party – Refah Partisi, RP – when he was the Mayor of this the largest Turkish city. It was the end of the 90’s and in that period I was busy trying not to get killed while covering the ‘Yugoslav War’, moving between Sarajevo, Pale, Belgrade and the frontlines. While most of my comrades-journalists would travel by train to Vienna (there were no flights and foreigners were not allowed to drive) to get a break, I always opted for Istanbul, taking slow trains through Bulgaria and Edirne. I felt that I had to learn about and get to understand the Ottoman Empire, if I truly wanted to comprehend the Balkans. In those days, Mr. Erdoğan managed to horrify many of the middle and upper class pro-Western and secular dwellers of Istanbul. He belonged to an Islamist party in a city that was always looking towards Europe. But in the end, he introduced some sweeping social reforms and dramatically improved its infrastructure, from the garbage recycling system, to transportation. UN-HABITAT gave him a double thumbs-up. I wanted to talk to him, to hear what he had to say. And he agreed. Instead of a religious fanatic, I found a self-centered, highly driven and pragmatic politician, a populist. “Do you speak Turkish?” he asked me instead of greeting. I wasn’t sure about that… I was trying to comprehend, to follow his logic. I have to admit that I felt more comfortable in a trench in Yugoslavia, than being there, in Istanbul, facing this overpowering man who was obviously on his great ego trip. But he kept ‘delivering’. And the Turkish people, many of them, kept voting for him, until in 2003 he became the Prime Minister, and in 2014, Turkey’s President. Islamist or not, and since 2003, Erdoğan has not been rejected by the West; he was the de facto leader of the country which has been a staunch and unapologetic member of the mightiest Western alliance – NATO. And he made no attempts to break the ties. Periodically, Turkey had some minor quarrels with the West, its partners and ‘client’ states, but nothing that would really jeopardize the alliance. After the 2010 deadly raid on a Turkish ship headed for Gaza, Erdoğan confronted Israel, but mainly just verbally. The military ties were not severed: for instance, Turkey did not stop training Israeli combat pilots at its military airport outside Konya. Were there too many contradictions? Most definitely! In Turkey, it is actually extremely difficult to figure out ‘who is who?’ Allegiances are shifting and the positions of individuals and organizations keep changing. During one of her visits to Turkey as Secretary of State, Hilary Clinton allegedly asked the Turkish government to shut down Aydinlik Gazetesi, this important socialist and nationalist newspaper. On several occasions, Aydinlik interviewed me. I also interviewed its Chief Editor and other staff members. I worked closely with its affiliated television station, Ulusal Kanal, the home base to one of the most prolific Turkish documentary filmmakers (and my friend) Serkan Koc. Serkan and his comrades helped greatly during the filming of my documentary for the South American television station TeleSUR: on the 2013 Gezi Park uprising in Istanbul, and on ISIS being trained and supported in the ‘refugee’ camps and in the border area with Syria, around the city of Hatay. I was explained to how the terrorists were trained at Apaydin refugee camp, as well as at a notorious NATO facility right outside the city of Adana – the Incirlik Air Base. On three occasions, I managed to film and photograph both facilities, often risking my life. But ask the hard-core left in Turkey, particularly Communists, about both Aydinlik and Ulusal Kanal, and the answers you will get would be very far from being unanimous! And ask the Aydinlik people about the plight of the Kurdish people and about the PKK, and you would get some derogatory, or at least extremely critical declarations. Of course, most of the Kemalists, and almost all nationalists, are against the Kurdish struggle for independence or even for some sort of autonomy. They believe that there should be one strong, secular Turkish state, full stop, and that the PKK is just a terrorist group. On the other hand, many Turkish Communists have embraced the Kurdish plight, and are very critical of the nationalists and their media. But where does the PKK really stand, politically? Well, it all depends on who you ask! Some say that it is the Kurdish nationalist movement, and that it is indisputably ‘left wing’. Others strongly disagree, openly defining it as the ‘fifth-column’, and even as a CIA implant. But the “Kurdish Issue” is not the only one on which almost no one in Turkey seems to agree. Ask about the Armenian genocide, and you will soon realize that you have just parachuted yourself right into the middle of (already mentioned above) a minefield. Even most of the Turkish left wing will decisively reject the “genocide” definition. You may lose most of your friends by just bringing the Kurdish and Armenian “issues” into the conversation, in one single night. Confusing? Not yet, it gets much worse. 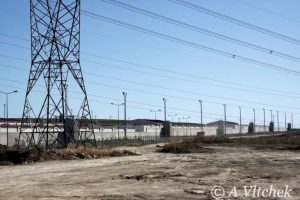 If you were to drive, before 2014, to Silviri Prison, some 80 kilometers from Istanbul, on the European side, you’d understand what real confusion is! This high-security facility used to hold hundreds of Turkish high-level military generals and officers, as well as some intellectuals and activists. 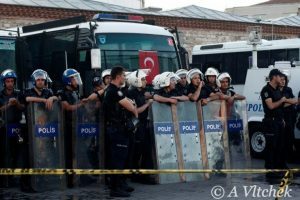 All of them were there because of the so-called Operation Sledgehammer (in Turkish: Balyoz Harekâtı), an alleged failed military secularist coup dating back to 2003. But who were the generals, and what was really behind their arrest? I met the families of some of them, and I filmed their testimonies. Several of them were strongly opposed to Mr. Erdoğan and his AKP Party. Some believed in Turkish “Eurasianism”, while others (although very few and not always openly) were opposed to Turkey’s membership in NATO. Whatever it was, the government found the generals and their allies ‘uncomfortable’, even dangerous. The case against them was most likely fabricated and was heavily criticized at home and abroad. But it had a strong backer, the Cemaat movement, which is an Islamist movement led by the exiled cleric and (then) AKP’s close ally, Fethullah Gülen! Not surprisingly, after AKP and Gülen had fallen out with each other in 2014, the accused were released from prison, and on 31 March 2015 all 236 suspects were acquitted. And now President Erdoğan accuses Fethullah Gülen of being behind the latest, aborted bloody coup, demanding his extradition from the United States back to Turkey! How quickly, how fundamentally things change in this country! To make it all even more complicated, my left wing Turkish colleagues – investigative journalists – asked me as early as in 2012 to help them to investigate the activities of Cemaat Movement in general and of Fethullah Gülen in particular, in Africa (where I was then based), mainly in connection with them building schools and spreading all sorts of dangerous forms of an extremist religious teaching. In those days, Fethullah Gülen was still seen in Turkey as a close ally of both the United States and AKP! At some point, AKPs’ ‘New Ottomanism’ went a ‘bit out of control’, as far as the West was concerned, but overall Turkey stayed on course, supporting the West and its imperialist policy in the region. And in the recent past, the main ally of the AKP (although its arch-enemy now), Fethullah Gülen, was part of that ‘good course’. The policy was called the Neo-Ottoman-ism. The idea was that the AKP government, or Turkey itself, would work as a sub-contractor of the Western imperialism in the region, and as a sub-contractor it would expand its own zone of influence, in those regions that you had just defined. In those days there was also the Gülen movement based in the United States. Right now the government and they are enemies, but back then they were allied. The Gülen movement was particularly active in Africa, because their main claim to fame is opening schools and universities. And they have a huge amount of money. I read a report that in 2013, the movement had some 130 “chartered schools”, in the United Sates alone… And if you have chartered schools, you get millions of dollars paid to you by the US tax payers. They are also very well organized; they have huge companies; they are wealthy. And they use this wealth to increase their influence. All that I have written above is just to illustrate the complexity of the Turkish political labyrinth. There is almost nothing constant here; shifting sands come to mind as the most suitable metaphor. Now where is Turkey actually heading? Is it really possible that it may finally turn east? Of course, there are great hopes! Of course, such hopes could at least, partially, be justified. But I am cautious, and not yet ready to celebrate. The West is perfectly aware that “losing Turkey” would be a mighty blow to its geopolitical interests, read: to its totalitarian imperialist designs. It is highly unlikely that it would let this enormous country with one of the most strategic geographical locations on Earth, go easily and peacefully. 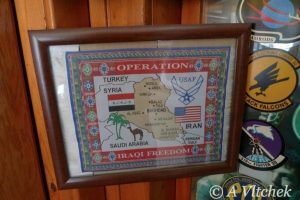 If the Turkish President does not yield to the West, if he decisively pulls his country out of NATO, if he shuts down the Incirlik Air Base (with its 50 or so nuclear warheads), and especially if he then shares Turkish military facilities with the Russians, the West will definitely act forcefully, even brutally. What would be on the ‘menu’ this time: an assassination attempt, another military coup or some externally provoked unrest? We don’t know, but we can guess: there would be appalling bloodshed. And where, on what side would the Turkish intellectuals stand: all those renowned journalists, artists and academics? They are often very brave (Chomsky and I called them, in our recent book, ‘some of the most courageous on Earth’), but where are their real political allegiances? Some of them are pure socialists, even Marxists, but definitely not all. Many are actually looking straight towards the West: Paris, London, New York and Berlin. One of my Turkish publishers and a friend, now deceased, the internationally renowned Turkish physical chemist and molecular biophysicist Oktay Sinanoğlu (often called the “Turkish Einstein”), was one of the most outspoken critics of Western imperialism. But he was also, for many years, a professor at Yale University, and his last years were spent mainly at his beachfront property in Florida. His love for Turkey was, for my taste, too ‘long distance”, too “platonic”. Turkish intellectuals cannot even agree which writers to admire. Two most famous contemporary Turkish novelists, a Nobel Prize for Literature laureate Orhan Pamuk, and Elif Shafak, are seen by many as just two mediocre literati who totally sold out to the West, portraying Turkey as has been expected from them by their foreign publishers and public. Many young and educated Turks have lately been heading to Latin America, to learn about the new revolutionary trends, governments and movements there. Others are travelling to Asia. For instance, Istanbul-based intellectuals are much more cosmopolitan than their shockingly Euro-centric and provincial counterparts in Athens. But European secularism and liberalism are still the main reference point and even the goal for most of the urban Turks. They may be ‘against NATO’ and ‘against US foreign policy’, but it’s often uncertain what are they actually for. Would they support the government, if it were to decide to kick out NATO and embrace Russia and China instead? Would they want Turkey to join BRICS? Mr. Erdoğan is a shrewd, pragmatic politician. He knows all about trading and ‘bargaining chips’. He knows what his country is worth – to the West and its imperialism, and to those who are opposing it! His popularity at home is soaring, reaching almost 70%. He has a clear ‘moral mandate’ when criticizing the West for either supporting (or even triggering) the recent coup, or at least for doing nothing to protect the Turkish ‘legitimate government’ in a time of great crisis. And the West is now taking his threats seriously, for the first time! Based on past experience, Erdoğan may now begin extremely hard bargaining with Washington, Berlin and other Western capitals. The recent ‘shifting towards the East’ could just be an extremely effective bluff. Both Obama and Putin know that. That is why US officials are not really ‘concerned’ about the nukes stored in Turkey. That is why Putin was very polite, while meeting Erdoğan in St. Petersburg; polite but not much more. Everyone is waiting for Turkey’s next move. And Mr. Erdoğan may take his time to actually make one. Time is on his side. He may now play both – imperialist and anti-imperialist – camps against each other. Whatever works! Russia and China (apart from being on the right side of history) can offer a lot, practically: The new Silk Road all the way from the Pacific Ocean to Istanbul, complete with high-speed rail links, IT corridors, pipelines, as well as the total revamp of the troubled Turkish energy sector, just to mention some of the ‘goodies’. Turkey would expect the West to offer more, much more, to match and to beat what is on the offer from the East. Unfortunately, it seems that all this has nothing to do with ideology, or even with simple ‘right and wrong’, it is just some cold pragmatism and practical calculations. Anything can change there. People can change. The pragmatic father of modern Turkey, Mustafa Kemal Atatürk, was a true Turkish nationalist, but strongly influenced by the ‘secular West’. Furthermore, in order to keep his nation strong, united, and independent, he had to fight the Western powers, and accept a great amount of military and economic help from the Soviet Union. The President of Turkey is now holding the future of the region and the world in his hands. He is well aware of it. He can make history with a single stroke of the pen. Just in case he makes a good decision, I am keeping a bottle of good champagne in my fridge. It is well chilled and ready to be popped open, at any moment. I hope, I truly hope that soon there will be an occasion for the cork to hit the ceiling! This article was posted on Friday, August 19th, 2016 at 9:09am and is filed under China, Iran, Russia, Syria, Turkey.